So what is Barbados really like? What is there to see and do when you step outside your villa rental? Find out using the tabs on this page, where you can learn more about Barbados. Whether you want to lounge at the beach or tour plantation homes, you can learn more about these activities and others, as well find out other helpful information before your trip to this fun-loving island. First occupied by the British in 1627, Barbados remained a British colony until internal autonomy was granted in 1961. The island gained full independence in 1966, and maintains ties to the British monarch represented in Barbados by the governor general. The British influence remains intact, however, as evidenced by the afternoon tea served at many hotels on the west coast, in St. James parish, and English is spoken throughout the island. 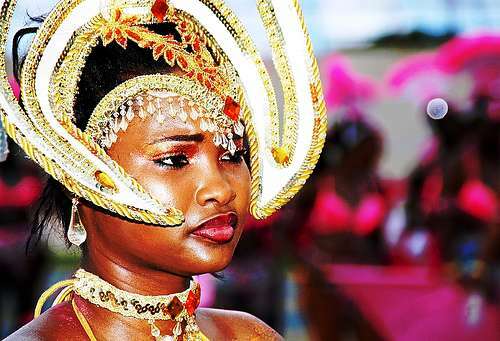 The fantastic Barbadian festival celebrating the end of the local sugar cane crop. Lasting for approximately 5 weeks, and commencing in July, Crop Over is a Barbadian festival celebrating the end of the local sugar cane crop harvest - hence it's name. The cultural diversity of the island is showcased throughout the festival through exhibitions, concerts, street markets, parades and of course mega dust-to-dawn parties. Getting to Barbados and getting around. Our transportation tips will help make your trip smoother. More good sand advice. Beginning March 1, 2004, travelers from the U.S. and Canada visiting Barbados will be required to carry a valid passport, under new security rules issued by the island's government. Barbados is served by British West Indian Airlines (BWIA), British Airways (BA), American Airlines (AA) Air Canada (AC), Canadian Airlines and Air Jamaica (AJ). Grantley Adams International Airport, Barbados (BGI), is 13km (8 miles) east of Bridgetown, in the parish of Christ Church. Facilities in the airport include a bank, bar, duty free shops and restaurant. On the left - need a valid driver's license plus a driver's permit. (cost is US$5). Child seat law: All children traveling without an adult in the back of the vehicle must have carseats. However, if the adult is travellng in the rear of the vehicle with the child, then no seat is required. Barbados has a good network of roads which covers the entire island. Traffic drives on the left. There is a speed limit of 60kmph (37mph per hour), except where otherwise indicated. The road journey from Bridgetown to Speightstown takes about 30 minutes. Also there is a fantastic public and private bus system that all use the sames stops. * Valid passports or birth certificates. * If either party was previously married and widowed, a certified copy of the Marriage Certificate and Death Certificate in respect of the deceased spouse. * For a Roman Catholic ceremony, the relevant documents must be sent by your bishop to the bishop of Bridgetown. * Where necessary, all documents not in English must be accompanied by a certified translation. A marriage license must be obtained in person from the Office of the Ministry of Home Affairs, General Post Office Building, Cheapside, Bridgetown. Telephone: 246-228-8950; Open Monday - Friday, 8:15 a.m. - 4:30 p.m.
Before making their way to Barbados villas, vacationers like to know a little bit of helpful information to make them feel more at home during their stay. Take a look at our travel tips to make your time in villas in Barbados even more relaxing. Barbadian dollar (BBD) - U.S. dollars widely accepted.